One of the hardest things to get to grips with when you start out on your Internet marketing career is that money is quite easy to come by if you put your mind to it. As workers we’re told from an early age that we must work for our money and that hard work equates to financial reward. Rubbish. Complete and utter rubbish. How long would it take you to raise a thousand dollars now? I’ve mentioned in previous books how I’ve seen grown men in tears because they needed a little extra cash and couldn’t conceive how they would get it. To them an extra thousand dollars might as well be an extra ten million! So would you have to work overtime for a month of two? Would you have to max out your credit card or go cap in hand to the bank? This ebook is going to tell you how to set up your own JV (Joint Venture) with another person. 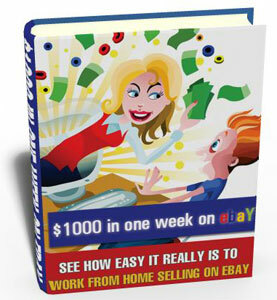 I’m going to show you how you can make a lot of money by undertaking JV’ (Joint Ventures) with eBay sellers. You won’t need to have a product – just a list of people to email to offer the product to. Or if you do have a product, you can find a good seller to sell it for you. GET THIS VALUABLE COPY NOW,AND DO IT RIGHT AWAY!